A jubilant smile must have spread across Kirk Handy’s face. An ecstatic exclamation or two may have escaped from his lips. Handy watched with pride as Liberty University’s Division I women’s hockey team captured its second straight ACHA Division I National Championship by defeating Lindenwood University – Belleville 5-2 at Comerica Center in Frisco, Texas, Sunday, March 31. 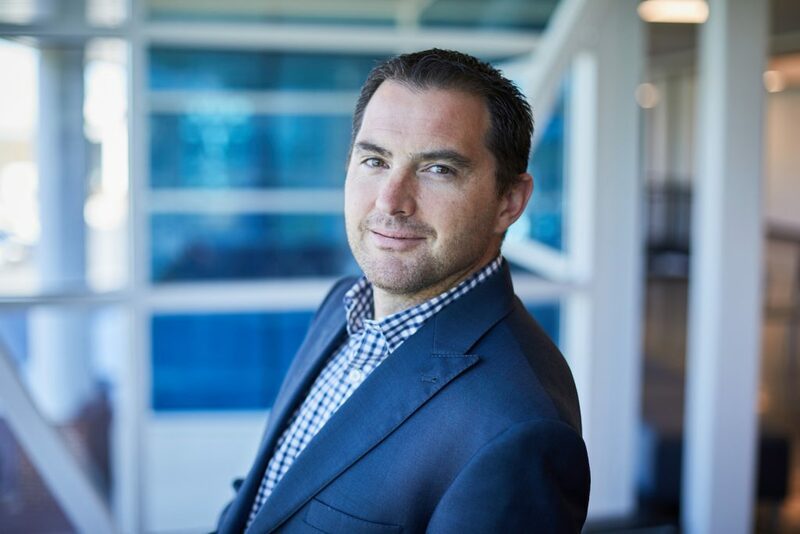 But while he is ecstatic about the team’s impressive success, Handy sees a bigger vision as part of his role as the athletic director of Liberty Club Sports. HEAD — Club Sports Director Kirk Handy is also the DI hockey team’s head coach. Guiding a program of over 600 Liberty student-athletes spread across 27 sports and 41 total teams, Handy and the Club Sports staff members aim to develop student-athletes holistically as well as field successful teams. Club Sports Recruitment and Events Coordinator Michael Stafford, a former student-athlete himself, understands that prioritizing people is a much more pressing concern compared to wins and losses. “We want to make sure they’re investing (time) with their teammates and investing (time) with their coaches and people around them, so when they leave here, they have those long-lasting relationships,” Stafford said. 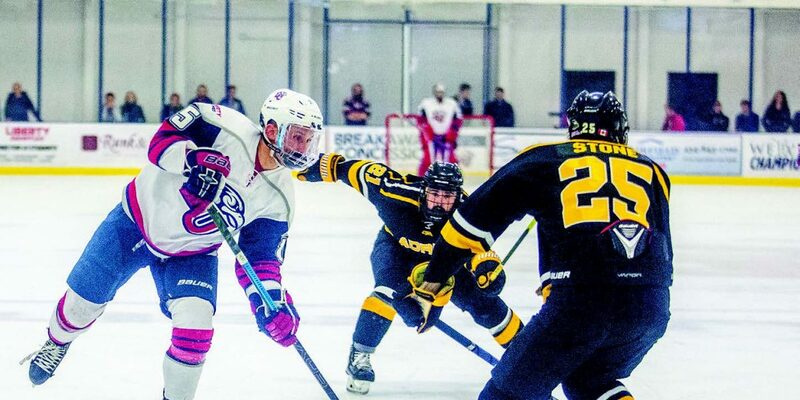 Handy, who is also the men’s DI hockey team head coach, said as part of the staff’s goal, they are looking to implement a system soon where each student-athlete receives the chance to go on a mission trip at least one time in their four years playing for Liberty Club Sports. While the details need to be finalized and the practice implemented, the idea of sending out student-athletes on mission trips could become yet another unique factor of the Flames program versus the Club Sports programs at other universities. In growing from five teams and 82 student-athletes to where it is now, Handy and Club Sports maintain some clear differences from NCAA athletics, including not fielding a team that is already in place at the NCAA Division I level at Liberty. 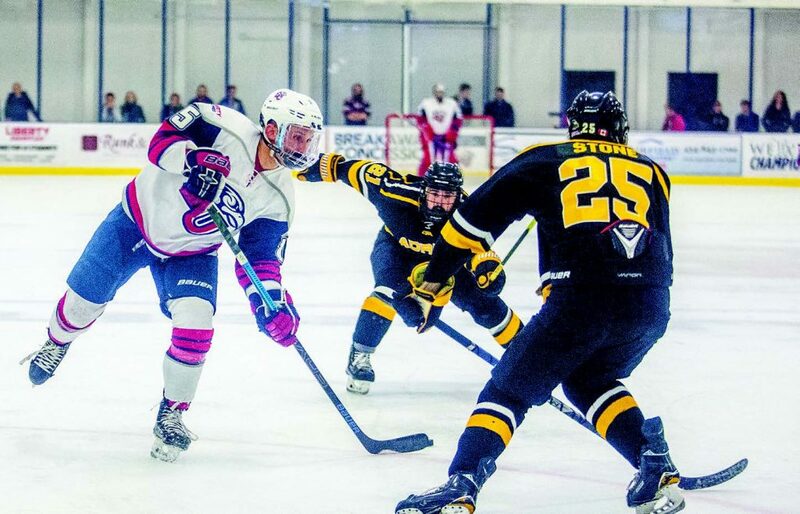 NATIONALS — The Liberty club hockey team competed at the national tournament, winning one game before eventually falling to Lindenwood University. Because of the self-imposed mandate, there is often speculation over if popular and consistently successful Club Sports teams like men’s and women’s hockey, men’s lacrosse or men’s volleyball might make the jump to NCAA. But, according to Handy, no plans for such a transition are in the works. “At this point, we’re at 41 (teams), and we’re going to make sure we do the best we can with the 41 teams we’ve got,” Handy said. The Club Sports staff has prioritized finding new ways to engage student-athletes academically as part of their efforts toward the 41 teams. The program’s strategy has created impressive initial returns, as the cumulative GPA score among all Club Sports student-athletes is at 3.15, marking the highest it has ever been, Handy said. Ultimately, however, GPA represents only one piece of the larger Club Sports vision.